1. Fly in and out of Phoenix. The airfares in and out of Phoenix are much more affordable than flying to Tucson. 2. A car is a requirement, as the Tucson shows are spread out over town. Albeit all the pockets where shows are set up are about 15 minutes apart from one another, a car is needed for the chance you buy a large mineral or work of art, or a heavy quantity of stones, gems, or minerals. 3. The drive from Phoenix to Tucson is about two hours. 4. We stayed at one of the affordable hotels near the Phoenix Airport. The benefit was that the price was affordable. The negative is that there are no shows at the airport hotels, and there are no bars or restaurants, or anything else to do near the airport. So if you stay near the airport for the price point, consider that you will be driving or taking Uber to eat out, or to have some drinks in the evening. 5. The shows are up and down I-10, right where I-10 East turns into I-10 West. At the very first show you attend, grab a magazine, they are readily available, as the magazine published for the shows lists ALL the shows, with maps, and dates. 6. Take cash with you. We have read other articles about using Traveler’s Checks, or other forms of payment, but we simply did not see how that would be better than cash. If you keep your cash safe, don’t flash it, you will be fine. You will be able to negotiate a better price with cash. The same rules about having cash on vacation apply to having cash at the Tucson Gem and Mineral Show, and related shows. Don’t flash it! 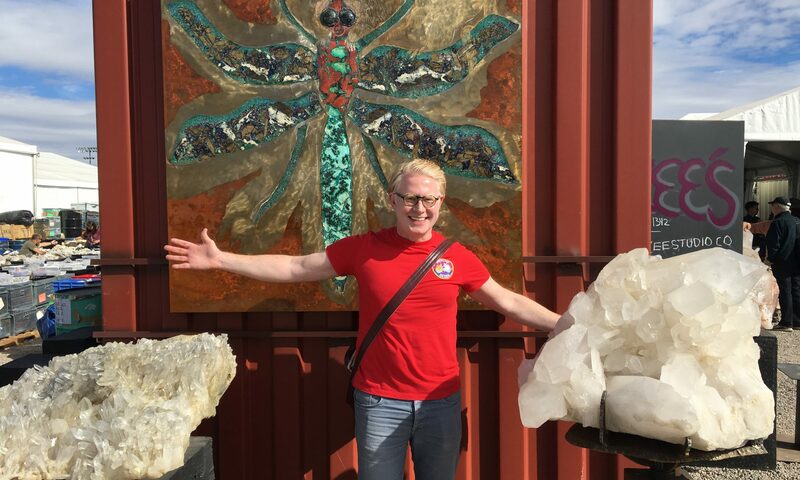 That is all for this installment of “Tucson Gem and Mineral Show – Guide for First Time Visitors.” Please read our other articles that cover where to eat, drink, what to do at the shows, and what to do after the shows.